How to display Usercontrol as MDI child? In TabbedMDI Manager, User control cannot be added as MDI Child. This requirement can be achieved by using functions named SetEnableDocking and SetAsMDIChild in DockingManager. To set user control as MDI child. Following code snippets demonstrates the same. Figure 1. 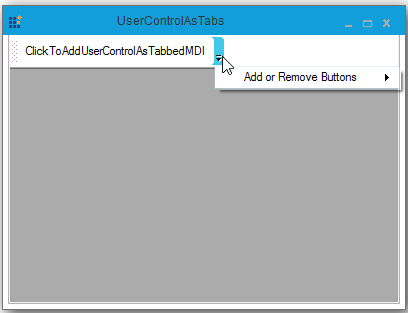 User control as Tab in TabbedMDI with Image.